Personally, I believe that Mindanao holds the most virgin areas in the Philippines and possibly the most unique local culture either. In our last trip, we headed to Barobo, Dinagat Island and then Siargao. Barobo is located in the province of Surigao del Sur, Dinagat in Dinagat Islands and finally Siargao in Surigao del Norte. I’d been to quite a few islands here in the country, and for me these provinces are among the best. Here’s our 5 days trip to these places down south. Here’s the itinerary that we followed. We skipped the usual stops in Surigao del Sur (aka Enchanted River, Tinuy-an Falls, Britania Islands, etc) because the rest of the group had already been there. In fact, Hali had already visited Enchanted River the year before. Here are more in-depth features about the places we’d visited. Barobo is a quiet town in Surigao del Sur, which most people pass by only on the way to Hinatuan and Bislig. Barobo offers clear cold springs and islands for island hopping. Do I recommend visiting here? Absolutely! Let me elaborate on what I like and didn’t like about the places we’d visited in Barobo. First, there are the cold springs. I actually prefer hot baths and springs, but the cold springs in Barobo are definitely picturesque and worth a visit. 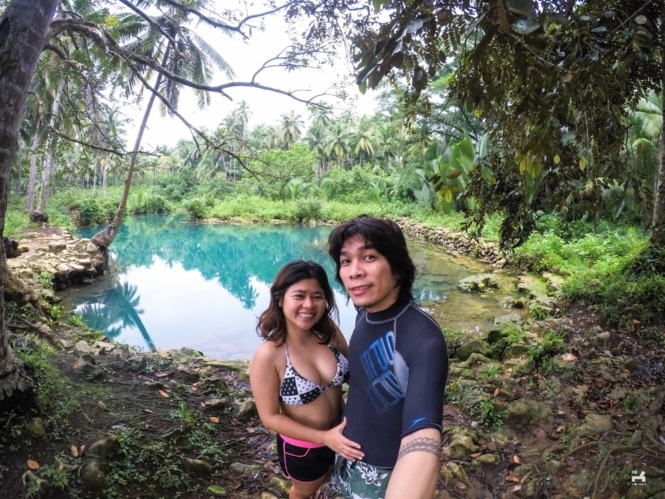 Beto cold spring has clear blue-green water comparable to Hinatuan River. I’m wondering if it’s just coincidence that they are geographically close? Anyway, Beto cold spring is a beauty, but not yet ready for tourists. There was a lot of insects in the area and, even though it was generally clean and kept, we spotted broken bottle shards in the spring so it was a good thing we didn’t swim here. We also visited Wakat Cave. I don’t really recommend stopping by here. It’s disappointing compared to photos online. It’s small and located literally beside the road. Locals use the water for household use. It was awkward trying to swim when a resident would suddenly arrive with a pail to fill. What I enjoyed most in Barobo is the island hopping tour. We visited Cabgan Island, Turtle Island and Snake Island/Vanishing Island. Cabgan Island is reminiscent of Calaguas Island back in the day, when the latter was still an unknown beach in Bicol and when travelers would camp here in summer to see the Milky Way, not to videoke and party at night. There were sand flies in Cabgan Island, as is common in virgin islands we’d been to. A bottle of strong insect repellent is a must hand-carry. I liked Snake Island too. Snake Island is also known as Vanishing Island because it’s only visible when it’s high tide. High tide usually comes around noon, at about 11AM to 1PM, although this changes depending on the weather. It’s similar to Seco Island in Antique, only much better. I actually wanted to write a separate article about Barobo since it’s very low key, but the person who gave me contact information about these places didn’t want it to get featured, so I simply posted about it here. We spent a day in the province of Dinagat Islands. 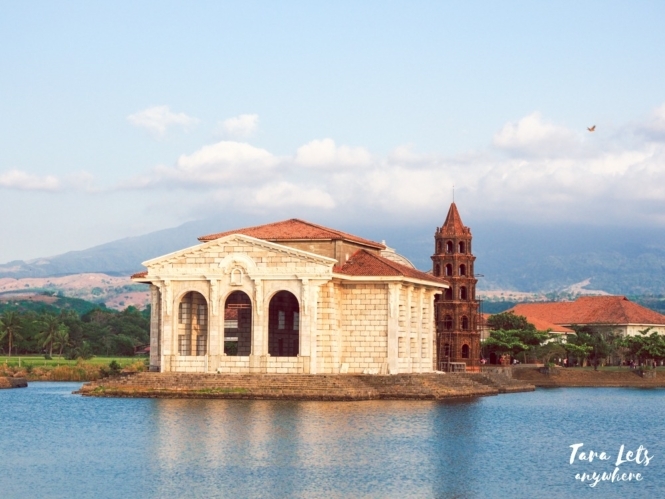 Again, this province is one of the many places in the country that gets rarely visited. It has an interesting history and economics and, most importantly for us, it boasts countless virgin islands to explore. Here we island hopped in 7 islands and the tidal pool in Libjo. We were awestruck with the scenery and the islands were as raw and uncommercialized as you could find. Siargao is one of the best destinations in the country and a surfing haven visited by professional surfers from all over the world. It has some of best scenery in the country too. However, due to limited flights to Siargao, tourist flow isn’t as heavy as in other famous destinations and there seems to be more foreign tourists there than local ones. It was our second visit to Siargao, and it has dutifully kept its charm. We’d been to Cloud 9 Resort and bathed in the clear-green Magpupungko rock pool. We later explored Sohoton Cove in Bucas Grande. 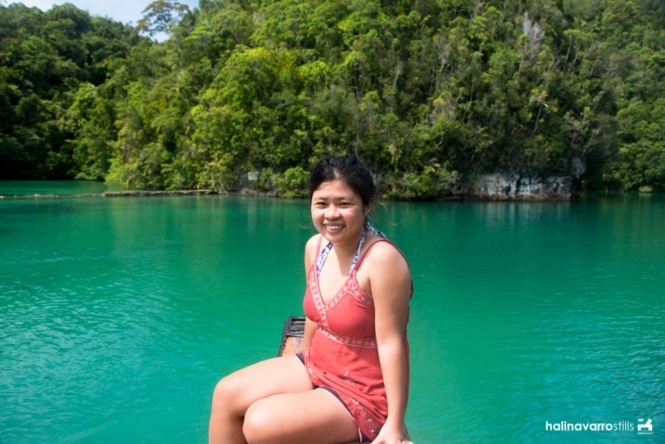 Sohoton Cove is full of green… the islets, lagoons, the marine life underwater. 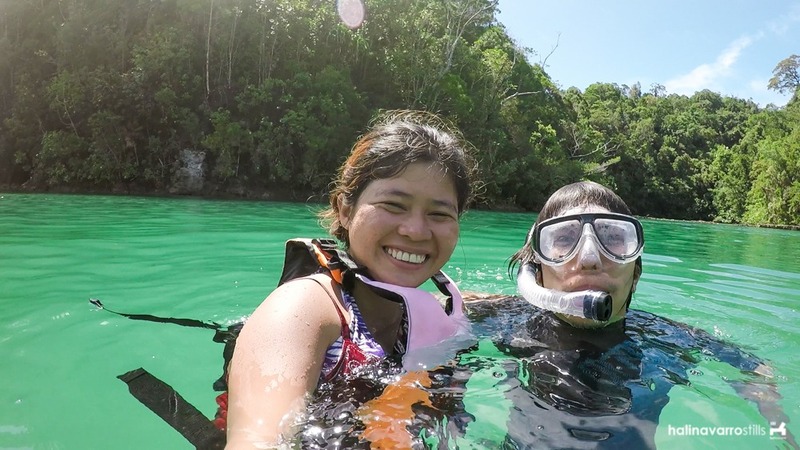 We’d boat-paddled to see the home of stingless jellyfishes. There’s also Sugba Lagoon. Sugba Lagoon has been developed since the last time we were here. It’s more accessible to the public and convenient to visit. All in all, a very worthwhile island to explore. Spending as short as two days here seems an affront to natural beauty, but well… our flight was scheduled the next day. Barobo has limited accommodations. We stayed at Viktoria Terazza, where a standard double room costs P800-900. We also spotted another accommodation called Traveler’s Inn nearby but weren’t able to ask for rates. You can also check out the lowest prices of hotels in Surigao City here. Similarly, there’s a lot of accommodations in Siargao. We stayed at Point 303 Resort in General Luna. I highly recommend Point 303 Resort since it’s near the beach for surfing, and it’s reasonably priced as well. As with other accommodations in the Philippines, it’s possible to haggle with the rate especially during off-peak season. Check out the lowest prices of resorts in Siargao here. 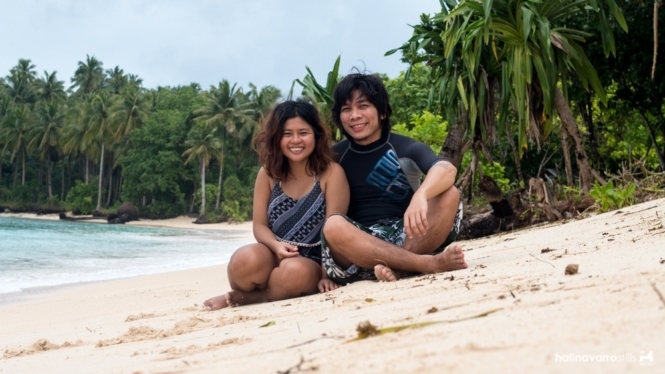 Island hopping rates in Dinagat Islands and Siargao are expensive, so it’s best to go with at least one other person. We were in a group, and we spent about P8000 each in total for this 5-day trip. Here are our expenses (updated as of 2017). Barobo is a small town so you can explore it via tricycle. We only paid the minimum fare per person. Meanwhile, boats for island hopping can be arranged at the back of the public market. Just go there and ask for anyone who offers a tour. A day trip of island hopping includes seven islands and Bababu Lake. Apparently the tidal pool in Pangabangan Island in Libjo is considered a special trip and is more expensive at P5000. We had the option to charter the boat to take us back to Surigao City for an additional P500, since the public boat’s latest schedule back to the city is too early, at 3PM. 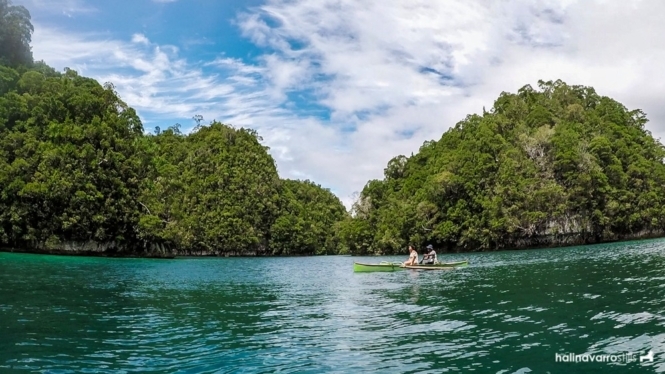 Aside from these, there are miscellaneous fees for Sohoton Cove for tour guides and use of small paddle boats, which are used to get to the stingless jellyfish lagoon. Prepare at least P350-400 per person for the miscellaneous fees. If you’re going to surf in Siargao, the usual rate for a surfing lesson is P500 per hour and surfboard rental is P450-600 per day. Navigating around Siargao costs a few hundreds via a tricycle. It depends on your negotiation skills. If you’re in a group, it’s better to charter a private van. Buy corn coffee in Butuan City. It’s caffeine free and great tasting. If you’re on a private van, make sure to visit Tagnote Falls in Agusan del Norte. It’s a short detour if you’re traveling between Butuan City and Surigao City. Have this travel guide and itinerary been helpful to you? Let us know in the comments section! Hi! Question re Bagobo Boat Rental… Is it open for joiners? Is it like 1,500 divided by number of pax? Kindly advise. Thank you. Yep. It’s the whole cost of the boat. When we visited, there wasn’t any agency offering tours so we just asked around for a fisher with an available boat for island hopping. Not sure now if there are agencies now that offer tours that you can join. Hi Katherine and Hali. I just want to ask since we will be having our 2nd anniversary with my partner this Nov. Our main destination is in Echanted River flying from Cebu to Butuan vice versa. It’s a 4 days and 3 nights. When reading your blog, im interested of visiting Dinagat Island and Siargao. What can you recommend for our 4 days and 3 nights trip? Or better way of spending our trip? Your suggestion is higly appreciated. Please. Hi! Since you have a limited time it’s not possible to visit all of these. Might be better to choose between Siargao-Dinagat or Siargao-Enchanted. First day: Butuan to Echanted River and Tinuy an and will travel to Siargao? Great article. May I ask how much you paid for the public boat going to Dinagat from Surigao? Hi Kerstin. It’s just minimal fare… I think just P100 or so? Feel free to update us here for the updated rates. Do you have contacts to who we can reserve a boat for barobo tour? Hi John, we didn’t get our boatman’s number because he doesn’t speak Tagalog. You mean around the barobo public market? If ever I got one i’ll leave a comment of the number here. Planning to tour barobo this saturday so i’m a bit rush with the itinerary we need. Thanks I got into this post. Yep. The port is at the back of the market. 🙂 Thank you! Hi, may I know which resort or your agency did you engage for your Sohoton cove tour and the cost for it? I’ve been trying to look for one but have yet to found any. Thank you! Hello we will be in Siargao on June 3-6 you might want to join us we are only 2 on the boat to Sohoton and Bucas Grande tour. we can split up the 1,600 for the boat rental. Thanks. You can text me 0917 484 5277. Thank you. Hello. We contacted a boat operator (Kuya Mulo – number provided above) and the cost was P4000-5000 per boat minus the misc fees (also detailed above). Pls read carefully next time. Hi! I’m just wondering if it’s possible to cross Siargao from Dinagat island? Or do we really have to go back to the mainland (Surigao City)?Thanks! There’s no direct boat so you have to go back go Surigao. Hi…may I ask if you have travel and tours agency? Hi Majo. No we don’t. 🙂 We blog only, but if we ever decide to establish one we’ll let you know! What a fantastic guide to the Philippines! I’ve been before but never to Surigao and Dinagat Islands so would love a return visit there. 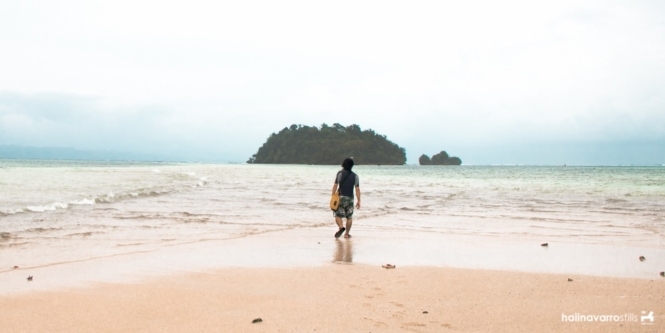 I especially love jungle beaches and these places look great for that! I only went to Surigao en route to Siargao and mainly avoided spending time there because “Mindanao is dangerous for foreigners”. Your pictures and story really make me want to visit though! Would you say Surigao and Dinagat are fine for foreign travelers, or should we just stick to Siargao if we want to go to that area? Thanks! Both are fine. 🙂 Although there are areas that are “off-limits”, many places in Mindanao are actually safe. Just ask if you’re unsure. Surigao is safe as anywhere in the USA. I have been there several times and there are no problems. My wife is from Dinagat and it is a beautiful place. If you go there I’m sure you will enjoy it. Don’t expect the modern amenities of Manila or Cebu in Dinagat tho. Its a whole different type of place.